Sail away with me - fountainfeders Webseite! 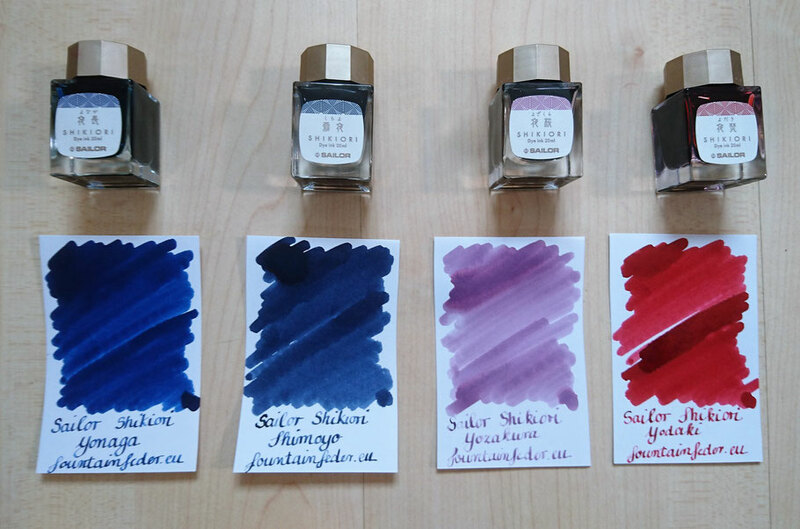 We just got the new Sailor inks into the shop and it is time for a little comparison. Fortunate for us our "dealer" also had the 4 missing Sailor Jentle Inks in 50ml in stock so we could order a bunch of those. 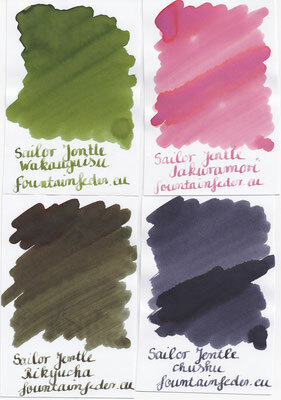 We now have all the 16 Sailor Jentle Colours as bottles and ink samples available. 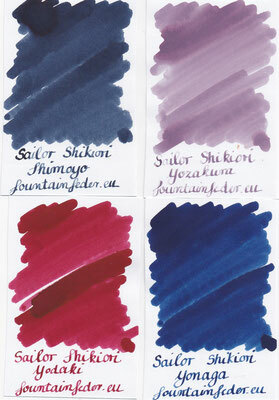 The newest addition to the Sailor product line however are the 20ml ink bottles. 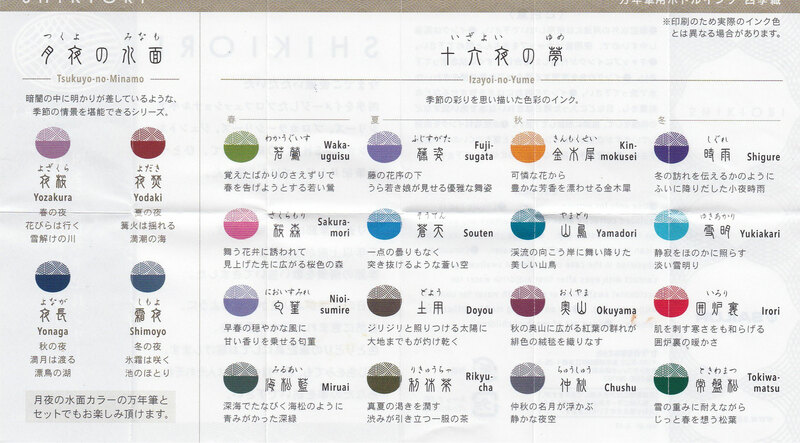 Those are honestly pretty cute and remind me a lot of the Pilot Iroshizuku inks. With the introduction of the new size (20ml - UVP 12 Euro) they also added 4 new colours to this range. 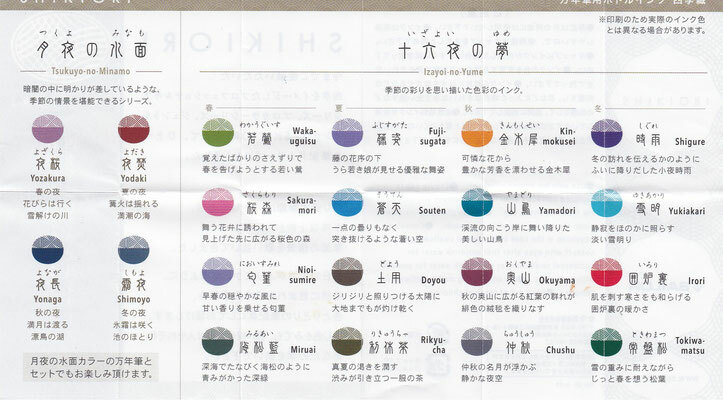 Yozakura, Yodaki, Yonaga and Shimoyo are an addition to the blue, red and purple range and are only available in 20ml. Yodaki surprised me the most as a very bold saturated lovely colour. All the new ones, Jentle and Shikiori behave like a charm and I cant wait to try them all in fountain pens. However with the changes of the size there was also a price increase as well. The 50ml have a regular retail price of 19,00 Euro (thats why we had to adjust the Jentles to 17,99 Euro) and the 20ml 12 Euro. My math is not the best so I leave that up to you ;-). In any way, check out the new design of the bottles and dont miss out on the new colours. That’s a cute line ! And that red is calling me ! !